Check out this cute little raccoon as he steals bird food from a feeder. It's so funny! 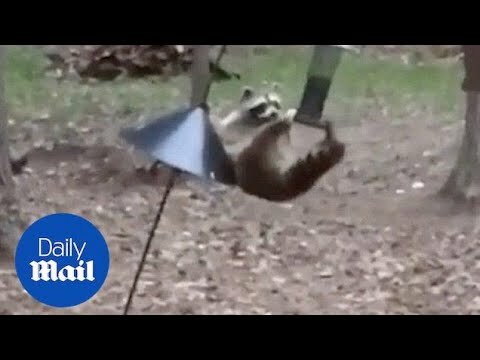 The raccoon calmly walks over, climbs up a bird feeder, knocks it over and then chows down. My favorite part is when the raccoon glances over at the camera... It cracks me up! The raccoon knows he's been caught but he doesn't care one bit. He's just one hungry raccoon and nothing will get in the way of his snack time. Click on the link below to watch. Enjoy!